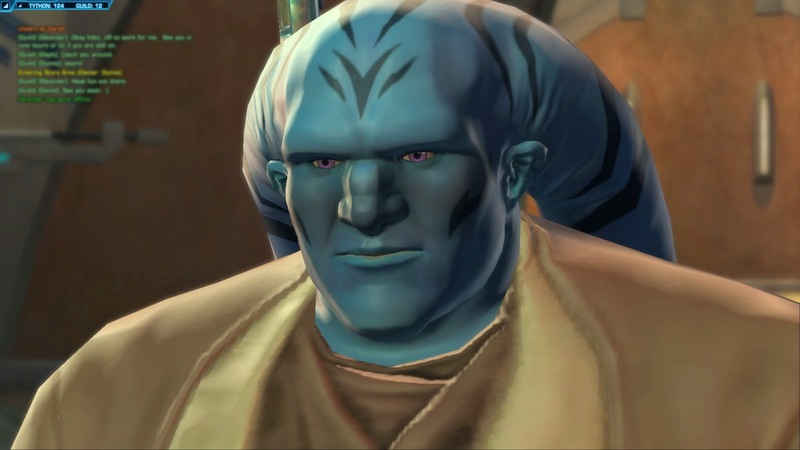 A while back I took a look at the progression of my main character from Star Wars the Old Republic and saw what he would looks like in terms of the Star Wars RPG. The last time I did this, it was for Saga Edition. It was kinda fun to convert Dunne, my Jedi Shadow with the Tanking spec, into the game and try to compress his build into 20 set levels. It was also pretty tricky, as I really had to map out what he took, because with a set end-point I had to be choosy about what he picked up, and when. Now here we are, in the post-Force & Destiny Beta world, waiting for the core rulebook to release, and I wonder if I could make Dunne given the current rules set. Would he be as fun to play? Can I get a character that captures the essence, and possibly the effectiveness of a "tanking character" in FFG's game? I dunno about you, but I'm eager to try it out. We all have to start somewhere; and Dunne started his adventures on the Jedi "homeworld" of Tython. A fresh twi'lek just off the shuttle, Dunne had his training robes, a training sword, and a novice grasp of the Force to guide him. 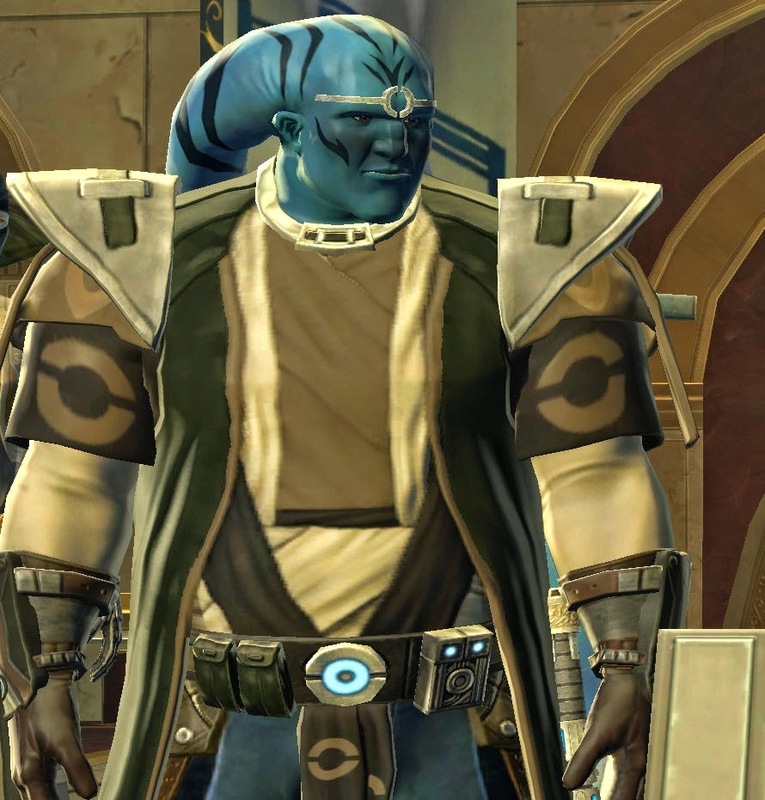 He also has about one-and-a-half twi'leks on a one-twi'lek frame, if you catch my meaning; Dunne was pudgy. We won't hold that against him though. So the be a tank, Dunne will need a good Brawn score, at least at 3. 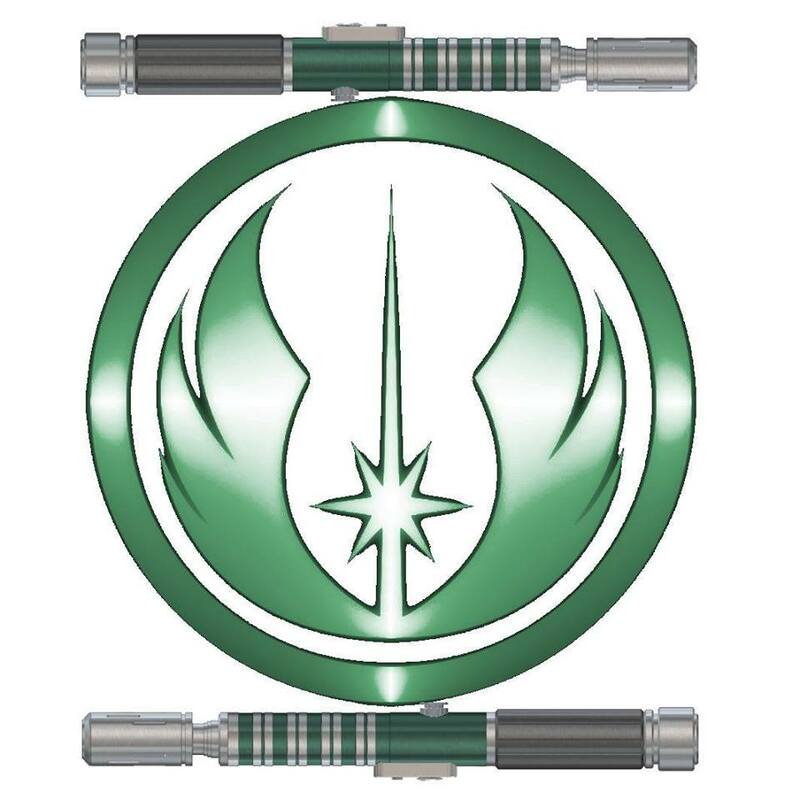 Jedi Shadows, the Tanking-spec for Consulars, use double-bladed Lightsabers. To use them without penalty, Dunne will need an Agility of 3. Many of Dunne's eventual attacks will be based on Move, which uses the Discipline skill which is a Willpower skill. So he wants a high Willpower. With 100 Experience Points from the Twi'lek race, I'll buy Brawn up to 3 for 50 XP (1 to 2, then 2 to 3). Willpower up from 2 to 3 for another 30xp. That leaves me with 20xp remaining, and I need to get that agility up. Thankfully, I can start with a Morality score of 50 and get 10 more xp. That gives me the 30 I need to get Dunne's Agility to 3 and to remove any penalties caused by the Double-Bladed lightsaber's Unwieldy 3 quality. Twi'leks get a free rank in Charm or Deception. Given Dunne's kind nature, I'll take the free skill rank in Charm. He also gets to remove a Setback die from any skill checks caused by arid or hot environmental effects. That will come in handy as he adventures through Tatooine, Oricon, and any other place with hot environments. Now I have to choose a career. Looking at the book, I find it funny that my best choice to replicate Dunne's "pre-Advanced Career" state is the Consular career. The Niman Disciple will set up Dunne along a perfect track to becoming the great Jedi Master he will eventually be. I get free ranks in 3 Career skills and two Specialization skills, so here's what I end up with. Cool and Discipline will help when he is targeted by certain social attacks, and keep him level-headed. The Consular storyline is all about unlocking hidden Jedi secrets, so Lore will be a big boon for Dunne. Starting equipment is easy; Ancient Sword (which uses the Lightsaber skill), Heavy Clothing, a Comlink and a Stimpack almost perfectly mirror what he started with way back when I first made him in December of 2011. Not a bad starting point. Now the fun stuff. Dunne's first chunk of XP will be spent to get Move and the upgrades needed to deal damage with it. That's going to be a staple of Dunne's attack options, and one he had very early on in the game. He'll be picking up more in this tree over time. 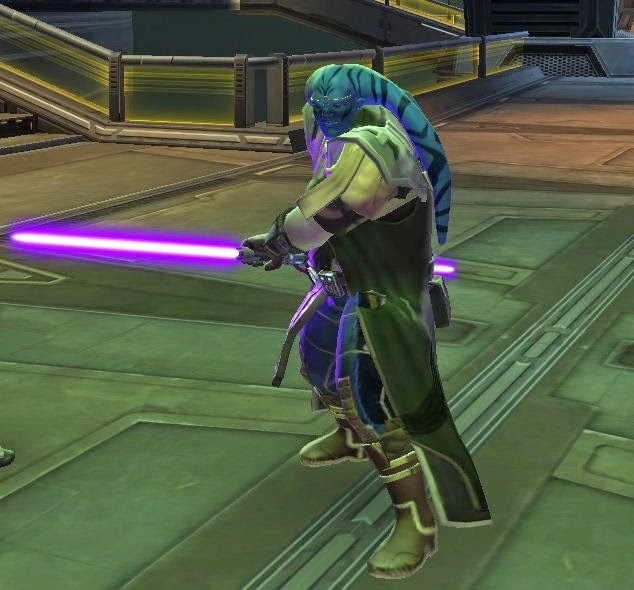 Dunne's role in the party will be to be the focus of his enemy's attention, and to combat his foes with a combination of lightsaber and Force attacks. Shadow-tanks are big on deflection or shielding away damage, as opposed to mitigating it with high Soak rolls. Finally, Dunne's Force powers include the ability to smash foes with nearby objects, occasionally Force persuade his way through tough conversations, and disappears from sight to sneak by foes. Niman Disciple is a solid start to this, as with less than your average session's reward of XP he can get a rank in Parry and Reflect and another point of Strain Threshold from a rank in Grit (boy, will he need that). With the purchase of Niman Disciple, Dunne will now be using his Willpower stat for Lightsaber checks, and it opens up the tree to a bevy of talents he will need. Dunne will be spending a lot of his XP in this tree, but this tree won't give him everything he needs. To help beef up his Tanking role, he needs a tree that's going to give him more defensive options and build off the ones he gets through Niman Disciple. After digging through the book I found a solid choice in the Guardian's Protector spec. Ranks in Grit, Toughened, Parry, and even Reflect will help, plus it gives Dunne access to Body Guard (perfect for a protective tank), Force Protection (which will increase his Soak value if he commits Force dice), and more ranks in Center of Being (Increasing the Crit rating of any attack against him). I can actually take useful talents in the Protector tree while dodging around the ones dedicated to Medicine and Stimpack use, which don't really fit into this concept. I'll probably also drop ranks into Athletics and Resilience, to take advantage of that better-than-average Brawn score. Looking through Force powers, Dunne doesn't have many but he does have some good ones. The one he'll put the most points into is Move; to stick with the short-range Shadows have in the MMO, I'll keep his Range upgrades to 1, but I'll buy at least 2 Magnitude and Strength upgrades, as well as the Control upgrade that allows him to pull objects out of secure mounts or opponents hands. Next is Influence; I see only a little going into that one, to give Dunne his ability to Force Persuade his way through some social challenges. I could see getting one Magnitude upgrade, as I recall him actually using Force Persuade on a pair of individuals at a few points in his story. Dunne's stealth ability won't be able to translate directly in the FFG system. For one, he's supposed to be able to disappear to everyone, droids included. That's simply not possible under the current rules set. I think the key to mimicking it as close as we can lies in the Misdirect Force power. With the basic power, a Range Upgrade, and two Magnitude upgrades that should give Dunne the ability to waltz by groups of opponents just like he does in the game. He just has to watch out for droids in this version. To get the second Magnitude upgrade, he has to go through the Duration upgrade, which makes sense, allowing him to commit 2 Force dice to keep the effective invisibility going. I wonder how close to game progression I can get this. Let's see how it looks after every 100xp, shall we? Somewhere in here Dunne gets some better equipment, as well as his double-bladed lightsaber. He'll pick up Armored clothing too. So far so good, after 200 XP Dunne has a solid base. He's got a few Force powers that are difficult to use with only 1 Force Die, but not impossible if he's willing to risk some Conflict. Probably time to get his damage taking ability up, and to push for another Force Rating talent. I like that Draw Closer pretty much perfectly replicates Dunne's Force Pull from the MMO and combines it with a Lightsaber attack. Sure he has Move, but this is a two-part wallop that just looks fun. Now that he's got Draw Closer, I'll have Dunne pick up a Dantari crystal, so that if he rolls well with Draw Closer he can use any excess Force Points to recover Strain. Mods for his equipment will be a Damage mod and a Crit Rating reduction mod for the crystal, a Superior Hilt customization for the saber itself, and a superior Armor customization for his armored clothing. Time to get up Dunne's damage taking ability. Wow, not bad. The next 50 xp would get Dunne another Dedication talent (Willpower to 5) and another Force Rating. He could also use some more points into Move to round out his ability to smash targets with objects. If I wanted to get another specialization (and right now, I'm not sure I do), I'd look at Seer or Sage. Dunne is still a Consular, and his proficiency in the Force is a big part of his story. A higher Force Rating would also allow him to still have a good Force die pool when he has a few of his dice committed to other Force effects. Looking at the Sage spec, I don't find a lot of abilities that fit Dunne's style. I do find a bunch of talents that are useful to this spec over in the Mystic's Seer spec. While expensive to cross-class a third time, the talents he will have access to can't be beat; multiple ranks in Uncanny Reactions, Grit, and Toughened, Dodge, Pre-Emptive Avoidance, The Force is my Ally, and of course two opportunities to buy Force Rating, bringing Dunne's total potential Force Rating from his three trees to 5. Is a 500xp character unreasonable? I don't think so. In my Wild Cards game the PCs hit 100xp after about 6 sessions, and that was a 3 hours per night bi-weekly game. At that rate a PC would be at 500 xp in 34 sessions (64 weeks), so just over a year. If it were a PC in one of my larger, yet less frequent games, those games generally go 6-7 hours every 6 weeks, and earn 30xp per game. That's 16 sessions, so about 100 weeks; just shy of 2 years. But would I want to play such a character? Does he adequately fit and fill the role he's designed to do? I dunno. Anyone wanna run a game and let me find out? May the dice be with you. It's funny, there are about three or four things I want to blog about, but I'm having some difficulty settling on them to get them out. I try to keep this blog on-topic (when I am able to write for it, anyway), partially because I think it's better to share my experiences on specific topics; costuming, Gamemastering, anything Star Wars; whatever. I don't like doing "shotgun blast stream of consciousness" posts, but maybe I need to just to break this log-jam. finalize some costuming for the con. My stepson had thoughts about formally getting a Cade Skywalker outfit made, and I was looking forward to helping him put it together. Problem is Cade's mop-of-hair and my stepson's dislike of having his hair more than 2 inches long, it seems. So he ditched Cade in favor of something else. At first he thought about being a clone trooper, which could be really cool. Now, starting on a Clone trooper, like most fully armored Legion costumes, means you just committed yourself to a $1,000 outfit. The stepson was taken a little aback about that, but if that's something he wants to do, we'll find a way to do it. In the mean-time, he's now looking at other soft-costume characters he may want to do, and is considering Starkiller from The Force Unleased. "Especially since you know him!" In other news, I have a box of Biker Scout parts sitting in my father's basement, just waiting to be assembled for him. It's a good kit, I just have to find the time to drive down and help him with it. It shouldn't take too long to assemble, either, and I'm fairly certain it includes all the straps and such needed for him to wear it. The only part I dread is the helmet; my helmet came to me pretty much done. Just had to attach the visor to the helmet faceplate, and then the faceplate bolts onto the helmet itself. This is more of a 4-part kit; visor, faceplate, that square brim that goes around the faceplate, and then the helmet itself. I'm probably going to tap into the expertise of one of my local Legionnaires who's put together this exact kit before, and get some help with that. But what about my own costumes? I've lamented before about finishing my SWTOR costumes, or getting them started more like. The wife says I am to break out the dummy and toss my Jedi Shadow onto it to see where it is and what needs to be finished. I honestly have a fear that doing so will do no more than make an obstruction in the traffic pattern in my house...again...and that it still won't go anywhere. What a rabid batch of PCs I've cultivated for Another Longshot. Seriously; I can't remember the last time I had such involvement by my PCs in additional writing, and support for the game. Maybe my short-lived Earthdawn game, but I think this is even more (probably because I've got 5 more PCs than that game had). Background stories, in-character reports to command, a pair of Adventure summaries; their writing has even inspired my writing (which is probably contributing to my lack of updates here). Mostly, it's background information for a location that will likely become a prominent one in the game, Port Rasper. I'll admit, I had a bit of Babylon 5 influence when writing about it. Hopefully it will keep a unique feel and give my PCs some inspiration for what to do on the station. My campaign that was labeled as the "Another Longshot Prequel" has been in hiatus since September. I ran a Force and Destiny Beta group on a short series of adventures (which I intended to chronicle here, but something came up). Now with that group brought to a pause, and the main Another Longshot begun, I have a third group of equally rabid PCs asking when I'll be starting up the Tuesday night game again. 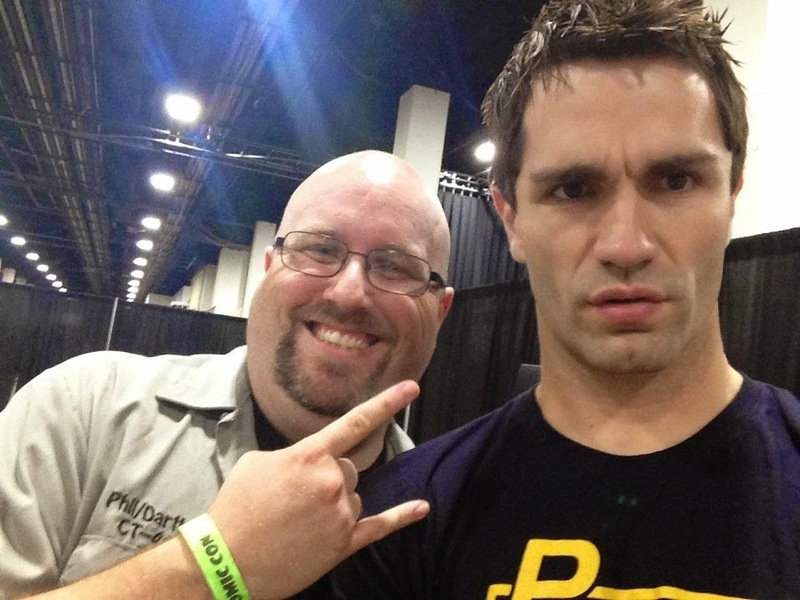 Sadly, we lost my former co-host Fiddleback as an active PC. I have found another contender who's looking at making a melee bruiser droid along the lines of the IG-100 Magnaguard; a sort of "Mr T of Droids". Likely Marauder, maybe Enforcer. He should be good and as a droid could be easily inserted into the party. I just have to get that game back up and running again. I've got some ideas, and I think they're worth pursuing. But man, that would effectively mean that my Another Longshot campaign has 3 PC groups, all in the same overall storyline, with 15 PCs total. 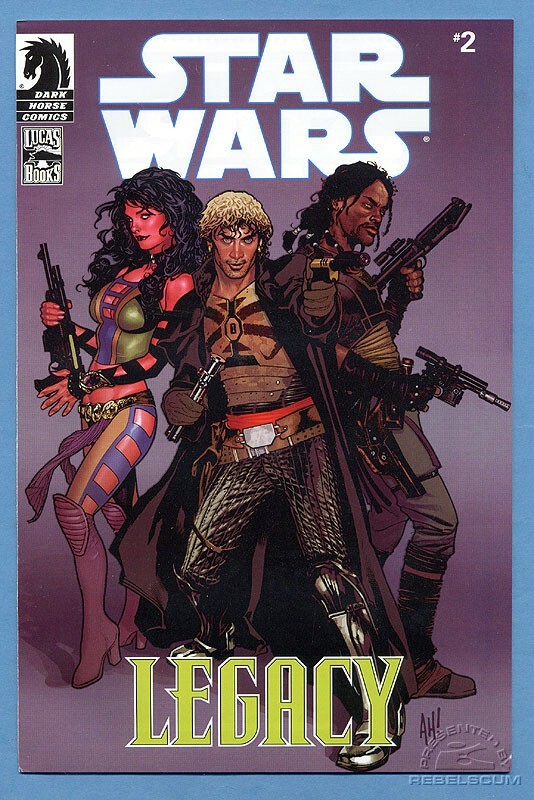 Just my feedback on Marvel's return to writing for Star Wars comics; I'm not impressed. 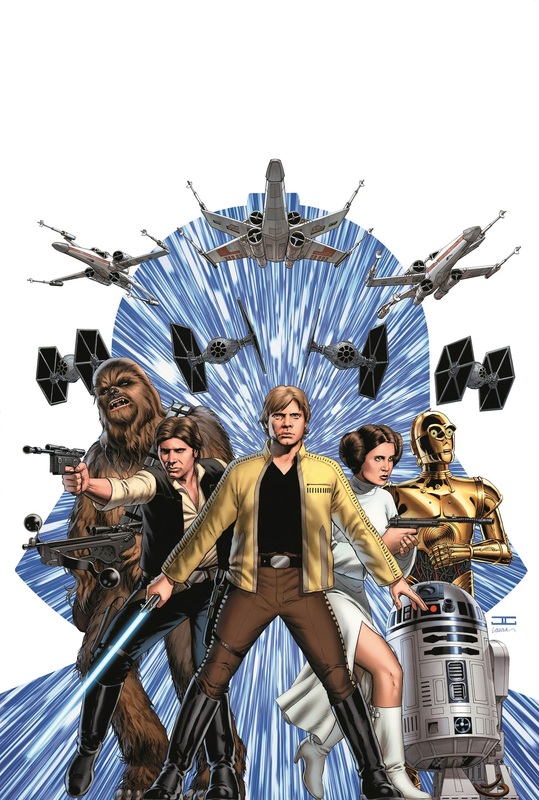 They released Issue 1 with over 100 variant covers, and with the exception of an Imperial Captain and a bunch of stormtroopers only included the major characters from A New Hope; Luke, Han, Leia, R2, 3PO, Chewie, and Vader. My favorite characters from the Dark Horse runs were the non-movie characters. Rogue Squadron! Quinlan Vos! The rise and fall and rebirth of A'sharad Hett! Dass Jennir! K'Kruhk! Cade Skywalker! Ganner Kreig! Zayne Carrick! Jahan Cross! If I could costume these people I would! These are the characters I would look forward to the next issue for, stories I really enjoyed. 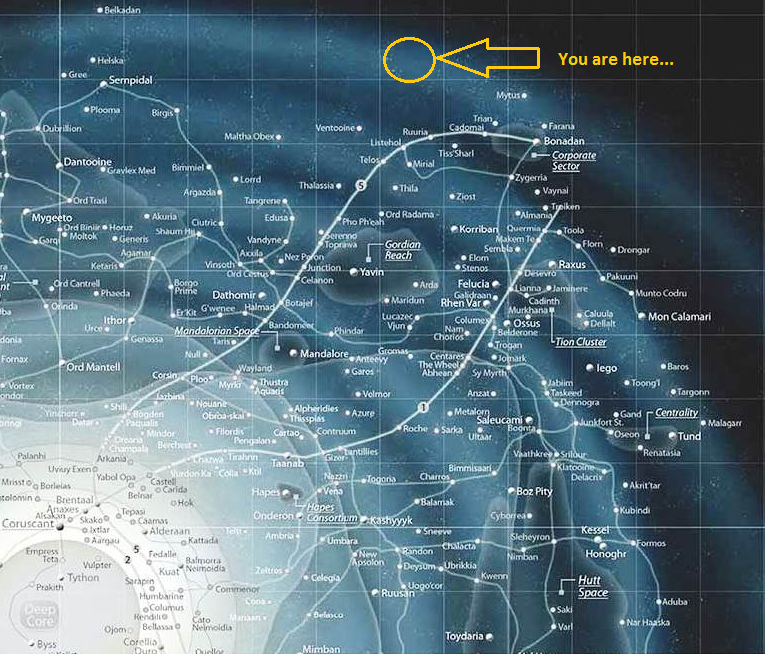 They made the Star Wars universe bigger. But with Marvel's latest issue, they made the galaxy smaller. Insinuating that only the Heroes of Yavin can do the important missions in the galaxy, and only Vader can oppose them. Eh, it is only issue one...time will tell I guess. So there were no updates in December, the primary reason being that any time I had to write for the blog, I spent it on writing for today's topic. As you may discover, there was a lot of work needed and it seemed to pay off. New year, new post, new campaign. Technically seven years in the making, Another Longshot has finally launched. Set in the "Legacy Era" of what is now called "Star Wars Legends", the campaign takes place primarily in the Hagen sector on the edge of Wild Space. Mysteries, ancient enemies, new threats, and a struggle to survive and fight the Sith Empire are all themes of this story, and this past weekend my PCs helped me kick it off with a bang. On Saturday, the first dice started rolling for Another Longshot. Group Besh, "the Rebel group", got everything started with a romping 6 hour adventure. I think the thing that most impressed me was the lack of combat in this session. There was one altercation on the promenade of a space station thanks to some Threat results on the dice, but otherwise it was all skills and role-playing to move along the plotline. The players seemed to have a good time, so much so that three hours after I left (I live an hour away even without snow on the roads) my PCs were still hanging out talking and writing about the game. I'm not going to re-hash what the PCs went through; I'll let them do that! You can find the adventure write-up by the Group Besh PCs here. I think the best part about the adventure was the collaboration. Everyone tried to make sure that everyone else felt useful and needed in the group. I still think Joe (playing the displaced Jedi) was the odd-man out and may have felt the least effective. Still, he contributed and I'm fairly certain the next session will focus the spotlight on him a little bit more, especially since his Bounty obligation got rolled. I roll Obligation, Duty, and Morality at the end of the session so I know what's triggering for the next one and can write it into the story. Works much better than spending hours writing something and then having someone's Oath Obligation get rolled or Space Superiority Duty rolled and having no extra room for random NPC interactions or space battles. Due to schedules, it worked out that I had to run both groups back-to-back or else Group Aurek wouldn't "launch" until Late February. Better to get the games going and PCs collaborating, I thought and predominately I was right. "Group Aurek" is a unique group because everyone is a Force User. It's basically a Force and Destiny group, with two Jedi, two Imperial Knights-to-be, and an unwilling Sith Apprentice who started off the campaign by saying "enough of this, I'm leaving and I'm freeing my Master's prisoners first". This is the group with the most overt-ties to the original Longshot game. One of my PCs (Alex) is playing a descendant of the cigarra-smoking, foul-mouthed, unkempt space-pirate-turned-Rebel-operative he played seven years ago. Now playing an upstanding Imperial Knight named Bleys (sort of a Star Wars take on an old favorite D&D PC of his), he's been saddled with his great-grandfather's broken-down ship and even further broken-down droid. This group also was exposed to the campaign "prophecy", or at least the "Nemoidian Fortune Cookie" variant. Read all about their harrowing adventures here. It will be fun to see where this motley crew goes. Two games! Two PC parties! 11 PCs! I will never do this again if I can help it. I ran 12 hours of games and had 5 hours of travel (thanks to detours and snow-delays). My wife is a very loving, understanding, patient soul for supporting me in doing this (and doing my best to give her some quality time prior to this hopefully helped). I will happily run for 6-8 hours straight, but only for one day. And I just can't spend that much time in the cars. The rest of my weekend was basically shot, and I had to bail on an Order 66 episode because I was fried. If I do have another game-a-rama like this, it had better be because I'm at a con. Then again, who knows; I'm sure that at some point the calendar gods will decide to throw this scenario at me with a "both sessions on X weekend or one team doesn't play for 3 more months" or something like that. I need to resolve how I'm doing maps. Making maps on Roll20 is easy, and handy, but unless more players are using their own laptops to access the game everyone's looking at my secondary 19" widescreen from across the room to see the action. Plus I can't figure out how to center the other screens on what I'm looking at on mine, so I can't "force" the view on the second screen and am constantly shifting back and forth to adjust the PCs view. On the flip side, extra laptops for Group Besh would really clutter the table we're sitting at. I wouldn't mind using physical maps, but I'd miss out on several good maps of Chris West's and it wouldn't work well with Group Aurek, where we're all sitting around a living room. Group Besh might be easier, but the map could take up more room than the extra laptop or two. Going to have to work on that. On a more positive front, I forgot how much music enhanced my game. I'm still using my Beta-release of Syrinscape because it allows me to make my own sound sets with my music and I don't have to pay for a subscription to use it (a recent development from that program's developer). The music was on for the Group Aurek game, with tense overtones coming in while I'm describing scenes as if I planned them from the get-go. Definitely worth my time Friday night rebuilding my sound sets from my laptops "format faux pas" a year ago. Early on I knew that I wanted to document this adventure, perhaps more-so than almost any previous campaign. Let's face it; I'm a known entity now (at least in a very niche group). Folks who are not playing the game will be following the campaign. Also, I've developed something of an issue in keeping things straight, so it helps if everything is written down someplace I can access it at any given moment. Finally, it's good to see things from a PC's perspective, and see what they are thinking. Many times they come up with angles and sub-plots that are better than what I had planned. I'm encouraging my PCs to help me develop and record the game, and bribing them with XP to do it. It'll be small, usually 5xp between sessions, but that 5xp will add up over time. Assuming I stick with my schedule, that'll be an extra 25-30xp by the end of the year. I know no PC who wouldn't want an extra 25xp to add to their character. That's a bottom row talent, or a Skill from Rank 1 to Rank 3, or a new Force Power with an upgrade or two. With 11 PCs, it's going to be tricky finding something for each of them to do, though. I think the next few weeks will be needed to hash out the "PC contributions" portion of the campaign. I hope this works out. I won't really know if I've got this on a good head of steam until we hit LARP season, and arranging games turns into a real puzzle with all the games folks play. To be fair, I've got a plan for that to, I just have to get my PCs to a point where they could have "crossovers" with each other and run with everyone who isn't at a campsite with boffer swords and spell packets on a particular weekend. Hope to have another blog-post sooner rather than later. Until then, may the dice be with you.